I-80 Speedway owners Steve (left) and Joe Kosiski flank Rodney Sanders while USMTS starter Ryne Staley holds the checkered flag after Sanders won the Imperial Tile Silver Dollar Nationals on Saturday, July 21. As the current USMTS Hunt for the Casey’s Cup national points leader, Johnny Scott took a provisional and drove Stormy Scott’s back-up car from the 23rd starting spot after needing a provisional to make the show. Casey Arneson, who started 17th after winning the Real Racing Wheels “B” Main, was seventh at the finish line with Dereck Ramirez, Jake Timm and Jesse Sobbing rounding out the top 10. Missing in action this weekend due to tornadoes that rocked his hometown of Marshalltown, Iowa, Ryan Gustin’s 85th career USMTS win came at the I-80 Speedway one year ago when he ended Sanders’ stranglehold on the Silver Dollar Nationals winner’s circle. Sanders recorded his 85th USMTS victory on Saturday. Nearly 10 percent of the those have happened in the Cornhusker State. What’s on tap: The USMTS Hunt for the Casey’s Cup powered by Summit is back in action with a tripleheader weekend Aug. 2-4. On Thursday, the tour trots into the Springfield Raceway in Springfield, Mo., followed by a Friday night fling at the Humboldt Speedway in Humboldt, Kan. The weekend wraps up Saturday with the 8th Annual Slick Mist Show-Me Shootout at the Lucas Oil Speedway in Wheatland, Mo. 1. (1) 10 Casey Arneson, Fargo, N.D.
3. (4) 7 Sean Gaddis, Diana, Texas. 4. (17) 16 Austin Siebert, Grandview, Mo. 6. (14) 2g Kenny Gaddis, Diana, Texas. 7. (10) 5k Kyle Prauner, Norfolk, Neb., Razor/ChevPerf, $400. 8. (7) 07 Cory Crapser, Chippewa Falls, Wis., MBCustoms/Troy’s, $350. 9. (2) 9 Kevin Rutherford, Flower Mound, Texas, MBCustoms/ASI, $325. 10. (12) 2j Johnny Scott, Cameron, Mo. 11. (18) 75 Terry Phillips, Springfield, Mo. 12. (11) 7 Justin Gregg, Hastings, Neb. 13. (8) 15 Andy Wilkinson, York, Neb., BMS/Donrich, $300. 14. (13) 8c Chris Clark, Jackson, Wyo., GRT/PerfAuto, $275. 15. (15) 64 Nick Hermsen, Omaha, Neb. 16. (6) 70 Jesse Dennis, Prescott, Iowa, Skyrocket/Midstate, $250. 17. (16) 88 Chad Wheeler, Muskogee, Okla., MBCustoms/Durham, $225. 18. (9) 21x Travis Saurer, Elizabeth, Minn., MBCustoms/Dakota, $200. DNS – 50c Colton Osborn, Cozad, Neb., DirtBoss/Anderson, $100. DNS – 7k Jason Krohn, Slayton, Minn., MBCustoms/Sput’s, $100. 1. (1) 20 Rodney Sanders, Happy, Texas, MBCustoms/Hatfield, 40, $8000. 2. (5) 12 Jason Hughes, Watts, Okla., Hughes/Mullins, 40, $4000. 3. (3) 69 Lucas Schott, Chatfield, Minn., MBCustoms/Hill, 40, $2700. 4. (2) 33z Zack VanderBeek, New Sharon, Iowa, VanderBuilt/Sput’s, 40, $2200. 5. (16) 2s Stormy Scott, Las Cruces, N.M., VanderBuilt/Mullins, 40, $1800. 6. (23) 2j Johnny Scott, Las Cruces, N.M., VanderBuilt/Durham, 40, $1500. 7. (17) 10 Casey Arneson, Fargo, N.D., VanderBuilt/ChevPerf, 40, $1200. 8. (8) 4r Dereck Ramirez, Woodward, Okla., Hughes/Cornett, 40, $1000. 9. (4) 49jr Jake Timm, Minnesota City, Minn., MBCustoms/Sput’s, 40, $900. 10. (10) 91 Jesse Sobbing, Malvern, Iowa, MBCustoms/ChevPerf, 40, $850. 11. (19) 7 Sean Gaddis, Diana, Texas, MBCustoms/PTS, 40, $800. 12. (12) 27L Trevor Latham, Rogers, Ark., Hughes/BCD, 40, $750. 13. (24) 75 Terry Phillips, Springfield, Mo., GRT/Durham, 40, $700. 14. (18) 71 R.C. Whitwell, Tucson, Ariz., Victory/Mullins, 40, $675. 15. (20) 16 Austin Siebert, Grandview, Mo., MBCustoms/Durham, 40, $650. 16. (9) 4w Tyler Wolff, Fayetteville, Ark., MBCustoms/Hatfield, 40, $625. 17. (13) 21t Lance Town, Wellsville, Kan., MBCustoms/Driskell, 40, $600. 18. (7) 19 Dustin Sorensen, Rochester, Minn., MBCustoms/Action, 40, $575. 19. (22) 2g Kenny Gaddis, Diana, Texas, MBCustoms/PTS, 40, $550. 20. (25) 64 Nick Hermsen, Omaha, Neb., Harris/Woodard, 40, $540. 21. (21) 23 Adam Kates, Tonganoxie, Kan., LG2/Speedway, 32, $530. 22. (15) 10 Marc Hurd, Wichita, Kan., GRT/Briley, 31, $520. 23. (11) 87 Darron Fuqua, Mayetta, Kan., MBCustoms/Driskell, 29, $510. 24. (6) 0 Jake O'Neil, Tucson, Ariz., LG2/Cornett, 18, $500. 25. (14) 19sb Lance Mari, Imperial, Calif., MRT/Yeoman, 12, $500. 26. (26) 7 Justin Gregg, Hastings, Neb., RedRocket/Kennedy, 11, $500. Margin of Victory: 1.557 seconds. Time of Race: 20 minutes, 46.987 seconds (3 cautions). Provisional Starters: J. Scott, Phillips, Hermsen (track), Gregg (track). Eibach Spring Forward Award: J. Scott (advanced 15 positions). 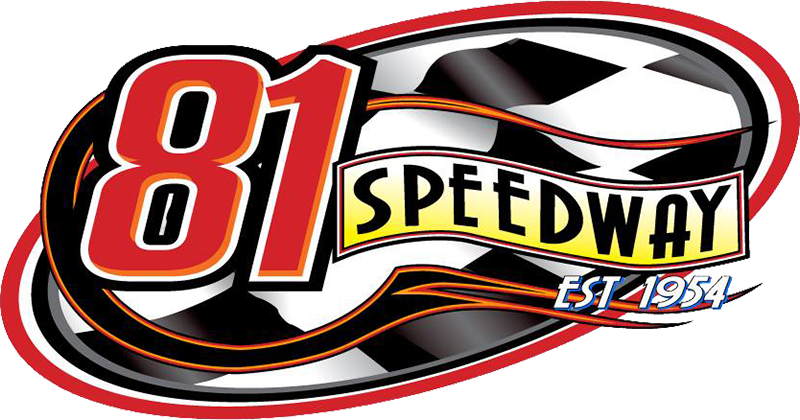 Next Race: Thursday, Aug. 2, Springfield Raceway, Springfield, Mo. Beyea Custom Headers – Town. Forty9 Designs – Whitwell, K. Gaddis. GRT Race Cars – Hurd. Integra Shocks & Springs – Sorensen. Jerovetz Motorsports Racing Parts – Siebert. KSE Racing Products – Timm. Out-Pace Racing Products – Wolff. Real Racing Wheels – Prauner, Crapser, Rutherford, Wilkinson, Clark, Dennis, Wheeler, Saurer, Osborn, Krohn. Swift Springs – Sanders, Sobbing. Tire Demon – S. Gaddis. Wehrs Machine & Racing Products – Hughes. Wilwood Disc Brakes – Arneson.